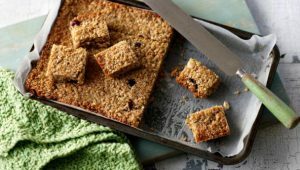 This flapjack never fails to be a hit with kids and adults. Its a great after school snack and you know exactly what is in it. You can add other fruits to make interesting variants to the recipe. Heat oven to 180 C / Gas 4. Grease and line a baking tin. Melt the butter, sugar and honey in a large saucepan and remove from heat. Stir in the porridge oats and fruit if using. 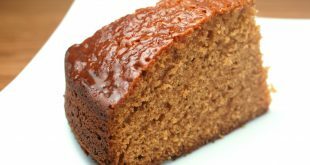 Pour the mixture into a lined tin and flatten to about 2cm thickness. Bake for 20 minutes. Cool completely in the tin, turn out and cut into squares.